Chief (Barr) Dumo Lulu-Briggs or DLB as he is popularly known and which is now known as the DLB Brand is a seasoned legal practitioner of over 27 years post call, an accomplished businessman, technocrat, politician and grassroots mobilizer. He is the chairman and chief executive officer of DLB group, a conglomerate of companies with interest in oil & gas, and marine. Born in 1964 to the family of High Chief O.B. Lulu-Briggs, OON, DCF who was National Vice Chairman, South-South of the defunct National Party of Nigeria (NPN) in the Second Republic, and late madam Irene Danagogo, both from Abonnema, in Akuku-Toru Local Government Area of Rivers State. He attended Port Harcourt Township primary school from 1970 to 1975, Government Comprehensive Secondary School Port Harcourt, between 1975 – 1980. He holds an LLB degree in Law from the Ahmadu Bello University, Zaria (1985) and also a Masters degree (LLM) in Law from the prestigious London school of Economics (University of London); and was called to the Nigerian Bar in October 1986. He did his National Youth Service at the Institute of Legal Administration, Katsina State Polytechnic, Katsina, from 1988 – 1989. He was in Private Legal Practice from 1989 to 1994. Chief Dumo Lulu-Briggs is a Member of the Nigerian Bar Association (NBA) and the International Bar Association (IBA). He has also attended several executive leadership courses at Harvard, Cambridge and the Southern Methodist University, SMU, Dallas, Texas. Chief (Barr) Dumo Lulu-Briggs has an excellent and distinguished working career in the private and public sector in Nigeria. He was the legal adviser/company secretary and contributing editor to Associate Media Limited 1990 – 1991, Solicitor and Notional Head of Chambers, Edu & Mohammed (Solicitor) 1991 – 1992, Principal partner in Nwoka & Lulu-Briggs Law office from 1992 – 1998. He also worked as Company secretary/Legal adviser to Moni Pulo Limited (Petroleum Development). He later served as the Managing Director, Pioneer Executive Director and Chief Operating Officer of Moni Pulo Limited; an indigenous, independent oil and gas exploration and Production Company from 1995 to 2004. He sits atop and/ or chairs several boards of Oil, Gas & Marine companies. He was past Chairman of two Federal Parastatals (Boards) namely, chairman, governing council, Maritime Academy of Nigeria, Oron, and Chairman, Board of Management, Federal Medical Centre, Owerri. Chief (Barr) Dumo Lulu-Briggs is currently Chairman, Platform Petroleum Limited, a reputable indigenous oil exploration and prospecting company and Chairman of DLB GROUP OF COMPANIES. He is a grassroots politician, mobilizer, and an astute entrepreneur who has bagged several awards. In 2010 he was honored as Best Parastatals Board Chairman of the Year 2010 by the International Publications Limited (Publishers of The International Maritime Digest); the Distinguished Nation Builders Merit Award (DINBMA); ABR 2015 Leadership and Philanthropy Award; African Achievers Humanitarian Award 2016; Honorary Rotarian Award 2016; Garden City Advancement Award for philanthropy 2016. He was a Member- Rivers State Economic Advisory Council for four years (2007-2011); Member - Nigerian Association of Petroleum Explorers(NAPE); Member – International Bar Association (IBA); Fellow - Institute of Corporate Managers & Public Administrators of Nigeria (FCMPA); and a member of the 1ST Association of Port Harcourt, Nyemoni Asawo Ogbo of Abonnema and Kengema Mina Ogbo of Abonnema; and several other social and cultural clubs in Nigeria. Chief (Barr) Dumo Lulu-Briggs active political career started in 1992 when he contested for the House of Representative seat for Akuku-Toru Federal Constituency seat on the platform of the Social Democratic Party (SDP). Thereafter he became the National Assistant Legal Adviser for the Grassroot Democratic Party from 1996 – 1998. He was the Governorship candidate, National Democratic Party, for Rivers State, in 2003, and also in 2015 contested for People’s Democratic Party (PDP) nomination as Governorship candidate at the Party’s primary election. Chief (Barr) Dumo Lulu-Briggs is a very rare States-Man; He is the Grand Patron of one of the most outstanding non partisan youth organizations in Nigeria: the Dumo Lulu – Briggs Youths Foundation (DYF23), founded and duly registered and preaching peace amongst youths. This is a major tool for youth enlightenment and development. DYF23 since its inception has been mentoring youths to be worthy ambassadors in all ramifications, prepared to help build a strong and inclusive Rivers State and ultimately Nigeria and Africa, and preparing our youth for leadership. Through this youth foundation, DYF23, he is able to reach out to youths in the 23 local government councils in Rivers State, campaigning against anti-socio vices and youth restiveness in the society, He has inspired and empowered countless youths into entrepreneurship, equipping them with the tools they need to succeed in this 21st century. He is ever ready to employ benevolence and selfless service to humanity. Dumo Lulu – Briggs Youths Foundation (DYF23) driving motto is: REPOSITIONING THE YOUTH FOR A BETTER TOMORROW! 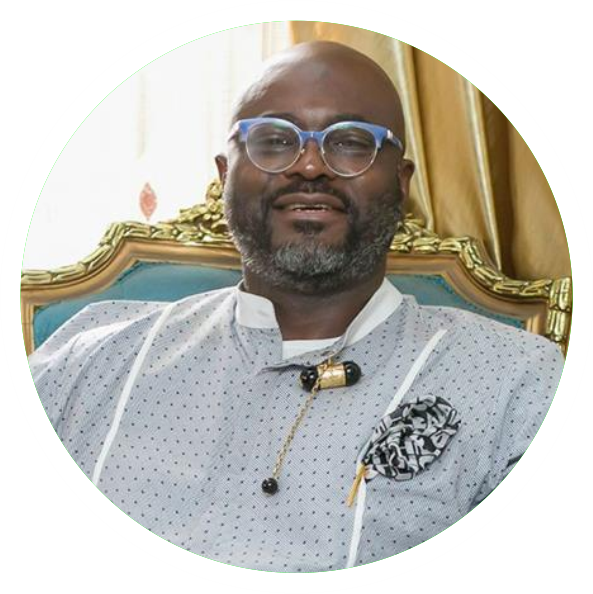 He is a well acknowledged Giver and Philanthropist of high repute who does not relent in reaching out regularly to the less privileged in places like The Children Home, Home for the Elderly, and The Home For Street Kids in Port Harcourt. He gives grants regularly to women to start small trades, and pays for vocational training for young men and women to acquire relevant and marketable Skills. He is a church worker, contributing immensely to church activities both physically and financially. Yearly, he awards scholarships to indigent students from Rivers State across the 23 LGAs. He also gives financial assistance to persons with different health challenges including sponsorship of major surgeries locally and abroad. He is very passionate about helping the less-privileged because he believes that ultimately, it is in giving that humanity finds fulfillment. The true worth of a man is in the ways he responds to his environment he often preaches. Most of the beneficiaries of his philanthropy he may never know. Tall, handsome and soft-spoken, Chief (Barr) Dumo Lulu-Briggs or DLB is down to earth and street-smart. He is married and a father to four beautiful children. He loves administration, sports, writing and philanthropy. Subscribe and get monthly update about DLB Recommended happenings. We will never spam your email! Copyright © 2018 DLB Recommended - All Rights Reserved.